We recently talked about the best WordPress blogging tools 2016. One important entry on the list: Google Search Console (or GSC for short). Google Search Console (formerly known as Google Webmaster Tools) is a free tool to manage the search functionality of your website. It contains a collection of reports and tools to find errors, improve search engine rankings and site performance, address malware and spam issues, as well as learn more about the people visiting your site. Like Google Analytics, being familiar with Google Search Console is incredibly important for the success of your website (btw, if you haven’t yet, check our beginner’s guide to Google Analytics). For that reason, in this article, we will give you an in-depth breakdown of everything you need to know about the Google Search Console. Since GSC itself is neatly structured into sections and subsections, we will use the same structure in this article. Ready? Then let’s get started right away. As the name suggests, the Search Appearance section lets you control what your website looks like in the Google search results. To that end, it contains a number of tools to improve the information users get about your site in the SERPs. 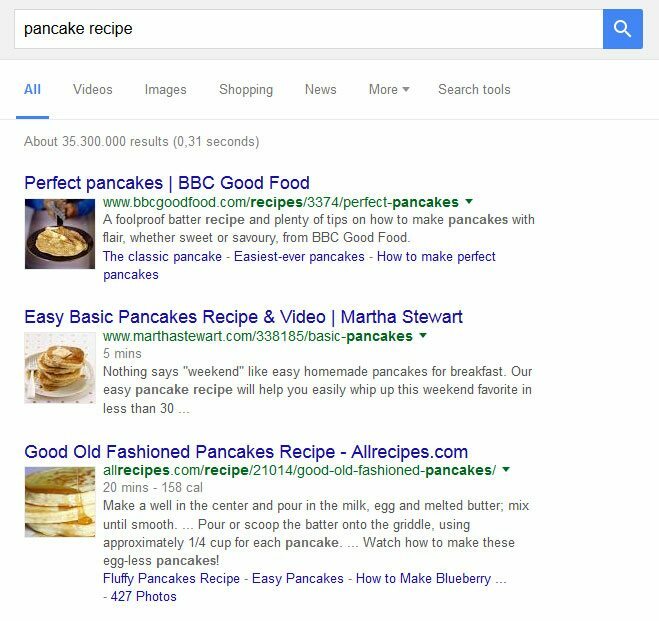 Structured data is a type of markup that helps Google better understand what’s what in your content. If used correctly, it allows the search engine to provide rich information such as images, ratings, and prep time for recipes. 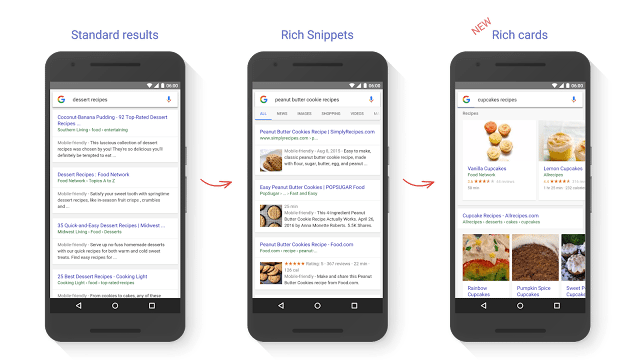 If you would like to learn more about this topic, we recently published an entire article on rich snippets and how to implement them in WordPress. It has all the information you need. Afterward, in this first section of Google Search Console, you can check whether your rich snippets have been set up correctly or if there are errors. There is also tool to test live data. Currently, rich cards are only available for movie reviews and recipes but are likely to include other types of content in the future. In this menu, you will find information on your rich cards including possible problems. Just like with structured data, it also gives you a live testing tool. Should you decide to implement structured data by hand, this handy tool helps you create the necessary mark up. While it’s relatively easy to handle, it can be a real pain to write the tags for each URL separately if you have loads of pages. In that case, a plugin solution might be a better idea. For detailed instructions, check the video below. Fix any issues to improve important markers of your SEO. For more tips on how to use meta descriptions, title tags, and other SEO elements correctly, read our article on WordPress on-page SEO. AMP are also a relatively new addition to Google that came out just last year. It’s a technique to build super fast pages specifically for mobile users. For more information, we have an article on this topic and a tutorial on how to implement AMP in WordPress. Once you have done so, the AMP section in Google Search Console will let you know if there are any problems with your implementation. Next up is search traffic, which is one of the most important parts in all of Search Console because it provides a lot of actionable data to make the most of your SEO. Clicks — Learn how each keyword ranks in Google and how many visitors it brings in. Build backlinks, add content or create pages for specific keywords to increase their performance. Click-through rate — The percentage of people who actually clicked on your link after seeing it. Work on your page titles and meta descriptions to make the result more relevant and improve your CTR. Position — Search position per keyword. This is awesome if you want to find keywords you are already ranking for so you can come up with ways to move them upwards in the search results. Queries — Filter queries by keywords and compare them to one another in order to find new valuable keywords. Pages — Filter pages by URL, compare them (e.g. for A/B split testing), sort by clicks and find out which pages to improve. Countries — This is important if you want to target a global audience. It allows you to find out site performance by country and compare rankings between different locations. Devices — See whether visitors come to your site via phones, tablets or desktop computers. Allows you to understand if there is a need to further optimize your site for certain devices (such as making your WordPress theme responsive). Search Type — This reports the number of searches from web, image and video search. It can be especially important if you run a portfolio site and have difficulty ranking for image search or similar. Dates — You can look at traffic for a certain date range and compare different ranges with each other. This section reports backlinks pointing to your site and the keywords used in their anchor tags. The information will help you understand if there are backlinks to disavow (because spammy websites can really hurt you) as well as who is linking to you and to which pages. That way you can more easily find additional sites that would be interested in shooting you a backlink. As the name suggests, here Google Search Console shows the number of internal links on your site. How’s this information useful? Well, pages with loads of internal backlinks are deemed more important by Google and should rank higher than other pages on your site. The information on this page allows you to focus on building internal links to important pages that don’t have a lot of links yet. It also shows internal links where the destination has moved so you can implement redirections to other relevant pages. In this section, you will learn if Google has penalized you. This can happen due to using spam or other black-hat techniques. It is different from an algorithm punishment where your site is just not up to date with latest practices. If you get a message here, it means someone has reviewed your site and decided you are doing something that they don’t like. When that happens, follow this guide to get back into Google’s good graces. International Targeting is only applicable if you translate or modify your site for another country to attract an audience beyond your primary location. In that case, you would use the hreflang tag to serve up appropriate pages according to geography. 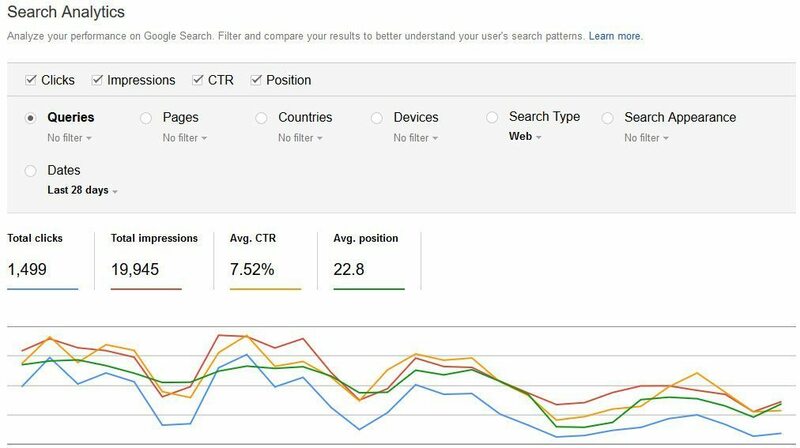 This part of Search Console will then tell you about the accuracy of your targeting and provide data to improve it. The importance of mobile traffic has massively increased over the last few years. For that reason, this section is all about how to turn your site into a great experience for mobile users. For example, you will learn if your site elements are too close together if the font is too small to be legible on small screens and other factors. Take what you find here seriously, mobile friendliness is an important ranking factor today and you are well advised to fix any issues in this report. Moving on, under Google Index you can find everything concerning the crawling and indexing of your website. This part simply shows all the pages Google has indexed, those blocked by robots.txt and URLs that have been removed. If anything is blocked or missing that shouldn’t, you can figure it out from here. However, that doesn’t mean there aren’t good reasons to keep parts of your site private. Some stuff just isn’t meant to be seen by others or would hurt your SEO if search engines considered it as part of your website. Examples include private information, third-party content or content of no value. If URLs of that nature have already been indexed, you can reverse this here. Just fill the “temporarily hide” field and pick whether to remove the URL from your cache, search results, or both. You can reverse this later on. In our next section, Google Search Console saves all the tools that have to do with how Google crawls your website. Of course, fixing any issues here will step up your SEO game. With this knowledge, you can learn how active Google’s crawlers are on your site. While it doesn’t contain a lot of actionable advice, it does give information about the weight of your pages. This is crucial for speeding up WordPress, so pay attention. Fetch as Google is one of the most important parts of Google Search Console. It lets you test how Google fetches and renders pages on your site. We already talked a lot about this file. That’s because it’s pretty darn important (in fact, we have an entire article devoted to the robots.txt) as it tells search engines what they should and should not index on your site. This handy tool inside Google Search Console lets you test your existing robots.txt for errors and warnings and also allows you to test pages for blocking. Sitemaps provide a roadmap of your website that helps search engines find and index your content. To that end, Search Console lets you submit a sitemap in this section. It also informs you about the number of submitted URLs and how many of them have been indexed and any issues with your existing sitemap. In this section, you can set up URL parameters like languages to serve different pages to different audiences in the world. Don’t deal with this section unless you have coding chops. If you do something wrong, you can really do a number on your rankings. When in doubt, ask someone else who knows what they are doing. Google takes security very seriously. Should the search engine suspect your site has been hacked or likely to get hacked in the future, it will display warning messages here. Naturally, the best idea is to take care of anything that pops up in this section. If your WordPress site did get hacked, we have a comprehensive tutorial on how to get back on your feet. Not all of these tools will be useful to you, however, there are a few real gold nuggets in the mix so don’t ignore this section! Google Search Console is a super useful tool for anyone who wants to improve their site’s SEO and make it more successful. It contains a slew of information, reports, and tools that can take your site’s search performance to the next level. In the article above we have taken an in-depth look at everything contained in the webmaster suite. Equipped with that knowledge you will be able to make positive and informed decisions about your site’s future. Trust us, it will make a difference. Hope to see you on the first page soon. Are you using Google Search Console? How does it most benefit you? Anything to add to the above? Let us know in the comment section below!